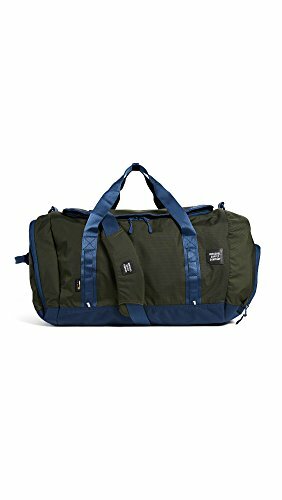 A spacious Herschel Supply Company duffel with tonal webbed trim. The sealed top zip opens the lined interior with 1 pocket. A zippered shoe pocket outfits the side. Optional, adjustable shoulder strap.